Join us this Summer and Save Big!!! For only $125 for single child family and $49 for each additional sibling, you will get over $500 in value this Summer!!! 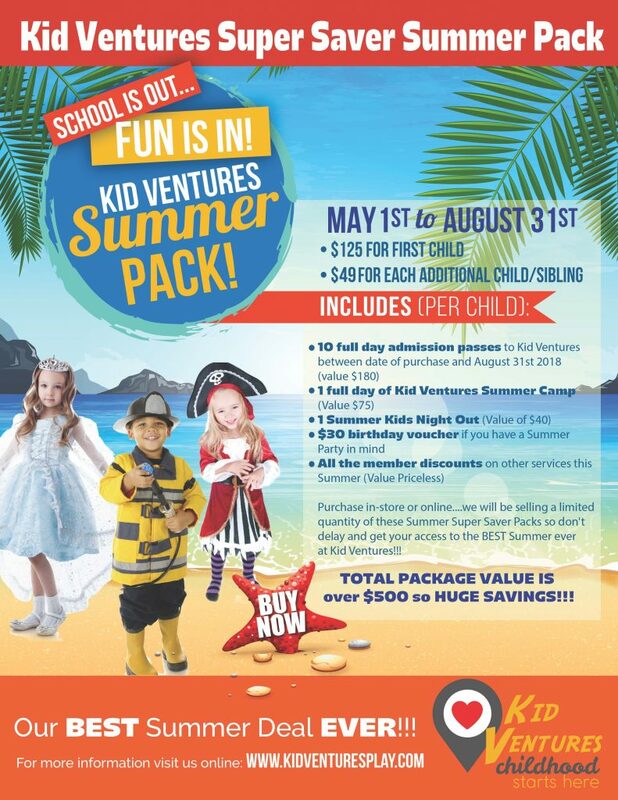 Don’t wait and start planning your perfect Summer at Kid Ventures. Select a Kid Ventures Location Below and Purchase Your Super Saver Summer Pack Today!! !